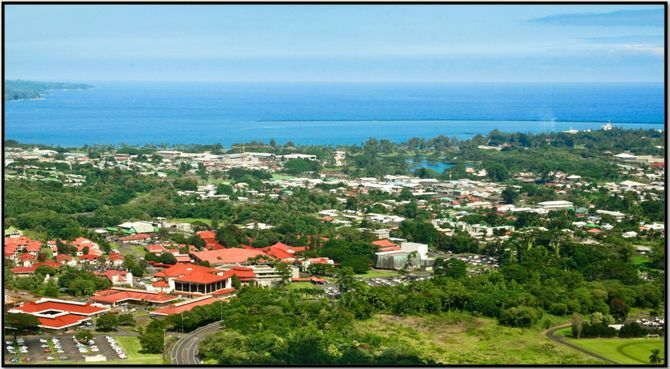 The University of Hawaiʻi at Hilo, a vibrant, multicultural campus, provides opportunities for higher education on the island of Hawaiʻi, the southernmost and largest island in the Hawaiian archipelago. Founded in 1947 under UH Mānoa’s Extension Division and called the “Hilo Program,” UH Hilo was organized under its present name in 1970. UH Hilo has grown and changed throughout the years to meet the educational needs and aspirations of the community. While the University’s primary focus is undergraduate education, it also offers several graduate degree programs in focused areas at both the master’s and doctoral levels. A total of 4,139 students were enrolled in Fall 2011. UH Hilo’s signal strengths are its small classes, low student/faculty ratio, diverse student body, island “learning laboratory,” a faculty active in research who encourage student participation in their investigations, service to the community, and, perhaps most importantly, the “aloha spirit” that epitomizes UH Hilo’s student-centered approach. The chancellor is UH Hilo’s chief executive officer, responsible to the president, who leads the statewide University of Hawaiʻi system. The Board of Regents, appointed by the governor, is the UH system’s governing body. Last updated on Friday, April 20, 2018, 10:44am HST.